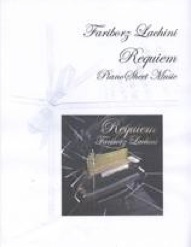 Requiem is the companion songbook for Fariborz Lachini’s CD of the same name. 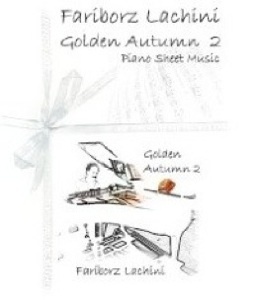 Lachini composed the eight pieces in a classical style, and all eight are gorgeous. 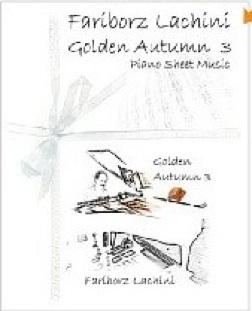 A bit more complex than some of his Golden Autumn music, the pieces are deeply emotional, evocative, and harmonically rich. The music was transcribed by David Shenton of NY Publishing, and the sheet music is note-for-note what Lachini is playing on the CD. The music isn’t difficult to play, and most upper-intermediate and early advanced players should have no trouble with it. Good timing skills, the ability to read ledger lines, and a whole lot of heart will get the player close to the sound of Lachini’s CD. Most of these songs are very slow and melancholy, and could be an excellent tool for piano teachers working with students on playing with expression. The sheet music also includes all of the chord symbols, allowing players on a variety of instruments to play this music, not just pianists. Requiem was provide many hours of playing enjoyment, and I highly recommend it. 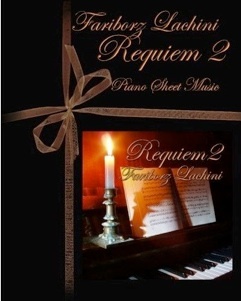 It is currently available for download at lachini.com.